Copyright laws are becoming a nuisance more and more these days. Hopefully it will become a thing of the past but for now people have to step gently around certain things except for one issue that has been debated now for well over 80 years. 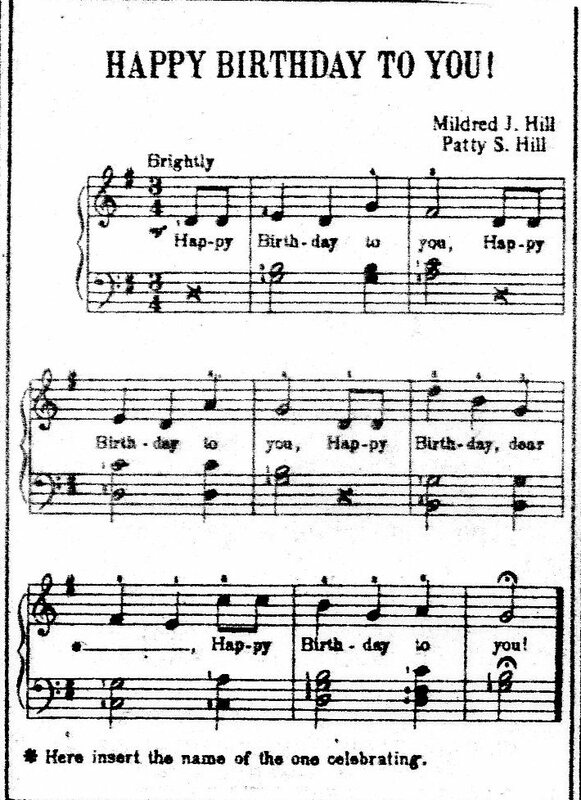 The claims by judge George H. King that Warner Music Group held the copyright after buying Birch Tree Group which supposedly held the rights to the Happy Birthday song are now considered to be invalid. In a surprising twist of events that has gone on in the courts for decades this is great news for musicians, filmmakers, production companies, theater companies, and TV shows. The song is now considered public domain which means that anyone is free to use it in anything they want. The song can be played or sung in any production now without any consequences. Warner/Chappell disputed this ruling but there is no sign that they will appeal the case, since they would have to get approval by the ruling judge. The plaintiff’s for the case said they will now move to file a class-action lawsuit against Warner/Chappell in an effort to get back all the money the group has been collecting from the past decades, which will amount in the millions. The challenge for this song has a long drawn out history starting all the way back to 1893 when a school teacher, Patty Smith Hill, and her sister, Mildred J. Hill, wrote the song for her students. The title of the original song was, “Good Morning to All,” and later put into a song book that was published and copyrighted by the publisher, Clayton F. Summy Co.. Birch Tree Group was the successor to the publisher which held the copyright. That was all later challenged when the name of the song was changed and how the song actually came about. The song brought in about $2 million for the Warner Group but that will all change now. If you look on YouTube chances are you will now find people using the song freely without any fear of a cease and desist letter and take-down notice. I, for one, am glad this issue has finally been resolved and the studios can stop going after people who sing the song in their home videos because of some stupid copyright issue. As I said in in an article a few posts back, companies need to consider fair use before going after someone for breaking copyright law. This is a great win indeed for a song that so many people know and sing every year in their life and now we will see it used more in movies once again. This entry was posted in Business and tagged Clayton F. Summy, clayton F. Summy Company, common law right, common law rights, copyright law, famous copyright cases, free to sing and play happy birthday, good morning to all, happy birthday copyright case, happy birthday fair use, Happy Birthday lyrics, happy birthday melody, happy birthday public domain, happy birthday to you, judge George H. King, Mildred J. Hill, Patty smith hill, public domain songs, waner/chappell music, warner music group on September 23, 2015 by Chris. Imagine one day you come to school after working hard on an essay only for your teacher to tell you that it is trash and you need to go back and rewrite it. You think to yourself, “rewrite it? But I just spent all night working on it? It was great when I turned it in.” You go back and work on it again and when you turn it back in the teacher marks it up again. You can not figure out what is going wrong so you turn to your friend in class and ask them to look it over. They tell you it’s not in the format and outline the teacher wants. You get mad that the teacher didn’t say that, or least you didn’t pay attention or read the instructions, and so you blame it on the teacher for not explaining it clearly. You write the essay again in the format required and end up getting a B- because it was turned in late. You are happy and move on with your life. The example above is one that many students experience over and over everyday in school. It is the reason so many students lose interest in certain subjects because they didn’t follow directions or the teacher was not clear enough, or in some cases the teacher is only looking for a certain format. Any student in English class will lose interest in the art of writing after going through an experience like that because they learn that writing should only be formatted a certain way instead of a form that expresses how the author thinks and feels. Take that similar feeling and imagine the number of students each day who lose hope in ever getting good at math because they keep getting bad grades. Not all students are proactive enough to seek out help and in many cases they are waiting for someone to come and help them. That is the case for many students at all levels of school. Not everyone is a leader and not everyone will seek out help. Students gauge their level of skill on the type of grades they get not really knowing that they have the ability to get better, if only someone provided them with support. So what about the super-achievers at school? The ones that want to impress and show off their talents? Where do they end up? Many of the overachievers get the support they need in class and at school because they know to speak up and raise their hands and attend after school help. They seek out the resources they should be using and take advantage of them. But what happens to that one student who gets punished because the understanding of one teacher, or teachers, mistook their amazing efforts for something terrible? What does that do to a child’s psyche and self-esteem? A lot of damage actually. Teachers in America do not have to have the most rigorous training or educational achievements in order to teach in a K-12 classroom, infact, math teachers in majority of places do not have to have any kind of college math training or degree in order to teach math at the highschool level. This is why most high school coaches teach math and science, aside from the fact that they don’t have to throw any kickbacks to the math and science teachers to keep their athletes grades up in order to play, because they already have a certificate in addition to a education degree to teach in a school. I do need to point out that many schools are changing the requirements but for majority of them, which are public schools, they do not require more than a state teaching certificate and degree in college, most likely an education degree. If math teachers are not required to study math in college than what does that say of the requirements for other teachers in their subjects? Do English teachers need to have read all the books they are required to teach in school or do they only need to know how to write and create curriculum lessons as long as they have a degree in education? The sad thing is that the college of education at most universities in America are the dumping grounds of the students who can not make it in any of the harder degree fields. Infact, the requirements for a degree in education are so simple that even the college students themselves take it because they know it is a knock-off degree that will get them a paying job after college. Of course little do they know, because they don’t bother to actually study, the economy is flooded with education degrees making them more worthless than they already are. Don’t forget these are the same people that will be teaching your children study skills and the importance of getting an education later on. Scared yet? The challenge with that is that most teachers do not have the versatility in education to understand all the subjects students are learning in school and this is where problems arise. They do not mess around when it comes to education. Here is an example of what that means in South Korea: on the day of the exam that determines where seniors in high school will go after they graduate, police, airports, and transportation services all ensure that students do not have any distractions – this means no planes flying overhead during exam time, no traffic congestion so police block off and reroute traffic away from schools, and taxis offer free rides so students can get to school on time before their exam. That is what a nation, dedicated to providing a proper role model for students, does to show how important education is. School days there are long so that means students learn to get along better with everyone but that is not everything. When the majority of the day ends the students change clothes and start cleaning their school. This very behavior teaches students to appreciate and take care of the very place that will give them a nice future. They are required to mop, sweep, clean, and take out the trash. That very dedication to taking care of the school lowers the costs for so many things that the school doesn’t have to worry about. Students notice more things than a regular janitor would so if there is a light broken somewhere then a student can go and fix that right away. After they are done cleaning they all go to the cafeteria and have dinner together and when that is over they head back to class until it is time to go and study with their independent tutor schools. There is a strong focus on studying and parents make every effort to ensure that students get all the help they need but also that the teachers teaching each class have proven themselves worthy to teach. Infact, the independent tutors work on a capitalist system which means that the higher demand for one teacher from students means more pay. You can read about how this teacher gets paid just as much as people in silicon valley because of his excellent teaching skills. These high standards coupled with students taking care of their schools produce high quality students. Finland, on the otherhand, has made it a point to ensure that any teacher in front of any class has gotten the best training the top universities have to offer. The top job to have in their country is a teacher, whereas, kids in the US are told that the top job to have is to become a doctor, lawyer, or engineer. Students respect their teacher because they understand how hard it was for them to even get in front of that class and teach. It is about the same amount of training that a doctor in America would receive, if not more. This is why they tend to be number 1 in the world in terms of producing the smartest students in the world. Finland is the top role model in getting students to understand how important an education is and to understand what you want to do with it. How many schools like that exist in America? Chances are you would have to attend a private school to come even close to what Finland offers for free to all their students. Infact, students there have more freedom to do things on their own than in South Korea and America. So why can’t schools in America strive to be the best? The simple answer: paranoia from parents, politics and bureaucracy. Education is always ignored and the education budget is always the first on the chopping block. Students in schools take for granted that their teachers are always there to help them. Many students like to show off and impress their teachers because it makes them feel good about themselves and what they are able to do but it also is a way for someone in the same area of interest to acknowledge what they have accomplished. Unfortunately the lack of education on one teacher can have devastating consequences on a student. In this case the situation with Ahmed Mohamed is a perfect example of what happens when a teacher, in this case an Engineering and English teacher, were not able to determine whether a device is a bomb or just a clock. Let’s look closer at what could have caused this problem. Ahmed said that he showed the clock he made to his engineering teacher who was very impressed but showed concern. It might confuse someone else that a student with a certain type of name and skin color might cause some problems. That part is assumed. In this case it lead to a huge problem with a student being arrested because a teacher, a high-school teacher at that, was not able to decipher correctly that an engineering project was a threat. What could cause a teacher to not understand the significance of what this student at his age, 14, was able to accomplish? Lack of science, tech, and engineering background. If you build and tinker with stuff all the time you will quickly learn what wires are used for what, how clocks are actually made, in this case a digital clock, and what all goes into a project like this. You would also know that in order to make a bomb of that size, some chemistry will be needed but in this case there were no liquids, radio controller, moving parts, external power source, or anything contained except the clock board and some circuits. Does someone need to study these things in college in order to understand this kind of complex stuff? No, actually it was the same stuff I learned in middle and high school so it is not like a special background in this stuff is necessary. I attended an engineering high school where we were always building things and taking them apart and putting them back together and never once did I ever feel scared that a teacher would mistake what my friends and I were doing as something wrong. It takes experience and education in order to create a safe learning environment where students are pushed further. In the case of Ahmed, it was his English teacher that got frustrated with the fact that his alarm clock was going off in class and took it away from him out of fear that it was a bomb. Teachers now are required to report any kind of disturbance or suspicious behavior to the office and alert the police. In this case the teacher’s lack of understanding caused Ahmed to be arrested at his school wearing something that only dedicated students of science and tech would wear, a NASA t-shirt. So what is going to happen to Ahmed’s English teacher? The one responsible for all this mess? Are there going to be any consequences for their behavior and lack of science education? The simple answer is nothing will happen to a poorly educated English teacher. They will continue on with their job teaching more students in the coming years. Sad right? A student gets suspended and arrested but nothing to the teacher, why? Politics and school bureaucracy, plain and simple. Union rules make it extremely difficult to fire teachers but Michelle Rhee knows how to do it the right way. Those same union rules also make it difficult to fire a teacher who has had sexual relations with a student. and invite him out for a campus tour. Google even saved him a seat with a complete invitation to their science fair. The CEO of Box has invited Ahmed out to tour their company. Ahmed, I know you've been invited to the White House and Facebook. But, we both know you're enterprise software guy at heart. Come by Box! The whole world has taken notice of all the cool projects and gadgets that Ahmed has been creating for years, all for his love of science, technology, and engineering. The English and Engineering teachers are examples of people that are considered obstacles to student’s careers and for many high school students they would have lost their interest in what they love to do because of someone else’s poor judgement. It is great to know that Ahmed will be transferring to a school that will encourage and reward his creative endeavors but now that the top names in science, engineering, and technology know who he is, it won’t be hard for him to land a job right after college. Many top tech companies have already offered him an internship, including Twitter itself. If Ahmed takes up all the offers he has been given his high school years will be unlike anything a typical teenager gets to do. He will have access to so many amazing people and places that he will be a role model for other teenagers to follow. Ahmed could easily build this into a program that helps more students connect to the top people and companies in the world by encouraging them to follow their passion in STEM programs. If I was Ahmed I would talk with all the people who invited me, build trust and raise funds to start outreach programs to get more students into building things and learning about how they can help their community. The support from the science community, especially NASA and scientists has been amazing. Ahmed was invited to the Toronto show Generator. which is a science-based variety show on Oct 28th and many supporters have offered to pay for his flight and hotel. The outpouring of support from companies, institutions, and people show that they have to pick up the slack that schools still can not do on their own. They showed their encouragement to Ahmed because it is important not to kill any interest a child has in what they love to do. The world needs critical thinkers as well as STEM people too. It is even harder to find programs that combine both. The sad thing though is that schools love bureaucracy so much that it hinders the kind of help students actually get in school. 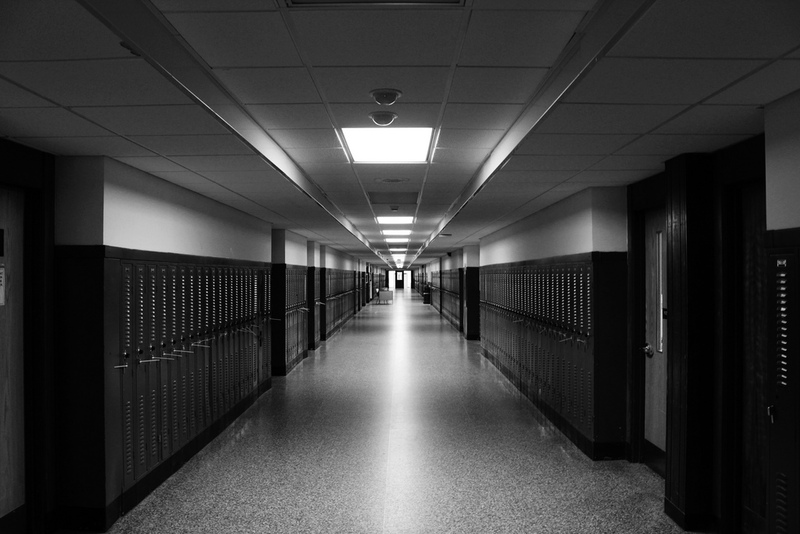 For many public schools they are simply a place for adults to have a job and nothing more. Sir Ken Robinson gave one of the greatest TED talks on this topic explaining how and why schools kill creativity. Surprisingly enough many schools have done very little to fix this problem since his famous talk, instead, forcing more students to study in the areas that kill creativity. The hard part about creativity is that it is a very abstract thing to teach but it can be taught but only by those who know how to get the best out of students. In the book, Creating Innovators, the author, Tony Wagner, explains that the very teachers that produce the most innovative students are never considered for tenure at their universities because of politics and bureaucracy. Instead of changing the rules and encouraging more of these teachers, universities still focus heavily on professors that can bring in more research money instead of producing high quality students that have already proven how they will change the world. It is that backwards way of thinking in the higher education institutes that hurts students in the long run. The other issue is teaching to the test that all teachers are forced to deal with. Many say that it limits their time and ability to get students interested in their subject because they have to make sure they cover certain topics every week in order to make sure they are on track for the test. That is one way of killing creativity for sure. The limits that teachers have on their time to teach hurts the future of this country because America is known as the powerhouse of innovation but how can you create innovators when you have to stick to a standardized level of learning. The students who are naturally smart and want to excel tend to get bored in their classes faster because there is nothing there for them to do. I remember in several of my classes in middle school and high school there were times when I had completed majority of the course work before it was even assigned and since the teacher didn’t know what to do with me I was just left to work on coursework from my other classes. The teachers that are the best are the ones that push you past your limits and never give you the answer, even when you ask for it. They challenge you to try harder and they know when you need help and that is the only time they offer assist which is only after you have exhausted all your options. Students like Ahmed need learning environments that push him further and have the resources available for him to continue learning past what he already knows. The schools and universities that produce the best students are the ones that combine group work with multidisciplinary fields which focuses more on work than just reading. This means that if you want students to learn chemistry then you need to give them more projects that require them to explore the properties. If you want students to learn Shakespeare then why not have them act it out in class instead of just students reading one paragraph at a time? You have to engage the students in creative ways that gets them to apply what they have read in order to see how it works. Ahmed has been doing this on his own for a long time and so when he goes to visit all the top Silicon Valley companies he will never want to leave because he will see people doing things that he wants to do right now. Sir Ken Robinson wrote a book called, Creative Schools, in which he lays out an actionable plan that anyone in education can follow. The talk he gave is a way to inspire and motivate people to take action and his books provide all the resources and insight as to what people need to start doing. The rise in home-schooling has lead to a push-back of standardized testing but at the same time, many of those kids don’t come close to what exceptional kids have and that is, an internal motivation to really learn and create. It has been the case that I have met many parents who call their kids natural geniuses but in all my time working with kids it has been very difficult actually finding just a handful. Every parent calls their child naturally-gifted but that can not be true for every child and it is only the ones that create that set themselves apart from everyone else. I don’t care how high your test scores are, if you have nothing to show for how smart you are then you are just being selfish to the world. In the time since all this has happened to Ahmed, he has gained more support from people who realize there needs to be more of a push to help creative students. We need more critical thinkers so this means more people need to get a liberal arts education and on top of that we need more STEM people combined with entrepreneurial training. It is difficult to find schools that combine all three but they are out there like Olin College where students can build their own major and incorporate all areas of learning into the process of learning and building. The engineer who can build something and see the complete impact of their product on the world at every level of the life-cycle process while at the same time determining if this will actually benefit the users and the environment are more important than the engineer who only knows how to build because they are told to do it by their employee. It is great to see that Microsoft got in on the action of helping Ahmed by sending him an awesome swag box of tech goodies. The kind of tech goodies I would geek out on. If you click this link you can see the picture of all the stuff he got for being a science, engineering, and tech nerd. Microsoft sent a tweet saying they can’t wait to see what he creates with all of it. The number of invites shows that more students need to be encouraged as to what all is out there for students of STEM backgrounds. Students need an environment that allows them to explore and find out how things work and where they come from. They need to know they can go out and attend events and meet people who will get them to see a new perspective in this world. I am always encouraging students that they need to attend as many events as they can in their city, especially SXSW and Startup programs. Students who explore on their own gain an advantage over students who can only do things with their parents around. The most creative people in the world work in Hollywood and if you want to see what kind of work they create, just turn on your TV or go to the movies and see. Peoples’ lives have been changed because of a movie or TV show. They are meant to touch and inspire people to see a different way of experiencing the world by what the writers, producers, directors, and actors create for everyone to see. The more you watch the more ideas you get. The same can be said for books too. They open your mind to a creative world of imagination. The more you read about someone or something the more your mind begins to take on its own way of seeing things. Books are a gateway to the writers soul and when you see the works that people from the past to the present have created, you begin to see there is so many different ways to get inspired to create something. This also includes reading the news every morning. These type of teachers are hard to find and they come in the form you least suspect. In the movie, Stand and Deliver, you have a teacher who came in and changed the lives of students who would have otherwise never gone to college. The amazing thing about what this teacher did was that he taught all his students to pass the AP calculus exam without a calculator, what teacher could do that today? Movies like The Power of One, Lean on Me, Spare Parts, Dangerous Minds, Freedom Writers, The Karate Kid, and McFarland, USA are all examples of great teachers pushing their students to do their best and showing them the natural gifts they have. Unfortunately the bureaucracy that is set up in schools do not reward the efforts these teachers make and that is why it is hard to find and keep them. Students learn a lot of different things everyday at school but no where do they learn how to apply it in the real world except in class projects. Students need to be connected with programs outside their school that relate to what they are interested in doing and how that applies to the world. It is not enough to study and get good grades, students need to learn how to apply their knowledge. You need special teachers who will take the time to take students to programs that connect them with people who do what they love professionally. This part is hard to find in schools, even universities. Schools should always be on the look out for exceptional students who go beyond what is asked of them. Those are the students who need to be encouraged to work harder and learn more. When a school identifies a student like that and rewards them it raises their self-esteem and benefits the world later on. Students need to know that they will have time to try out the things they are learning. They need to explore and play with stuff in order to see the issue they are covering from all sides. Play and exploration are the key components to creative learning. It engages the mind by taking what they are learning and allowing the student to see how it all fits together based on the projects they are doing. Ahmed set off a firestorm of a debate about how students in schools should be treated for their natural talents. It is important for schools to teach students areas of interest that will help them later on in life. There is a rising trend of students from high school joining more trade schools and even coding schools because it means a shorter time in school and a higher paying job later on. They miss out on the fact that going to college is supposed to get you a well-rounded education, of course, that is for the students who truly apply themselves. If you feel your school is not giving you the education you want and not providing you with the opportunities you thought you would get to have then you need to start looking at how you spend your time. How many student organizations are you apart of? How many internships have you done? What projects have you created on your own that relate to what you are studying? That should give you an idea of how you spend your time and once you start connecting with clubs and programs at your school the opportunities will open up. If your school doesn’t offer what you want, then start your own program or find a school that does. Ahmed will have no problem picking what school he wants to attend and which company he wants to intern with and eventually work for. Like I said before, his options are wide open now so for every other student who has to do things the regular way, they just need to know that they need to start creating stuff that will show off their skills, as well as, help other people. I hope Ahmed is getting some good advice about how he should use his new fame. This entry was posted in Education, Science, Technology and tagged ahmed mohamed, anil dash, exceptional students, gifted and talented students, google science fair, istandwithahmed, Kim Ki-hoon, microsoft donates box of gadgets, poorly educated teachers, school kill creativity, silicon valley companies support ahmed, sir ken robinson, STEM programs, support for STEM, teaching kids innovation, TED talk, tony wagner, young engineers on September 22, 2015 by Chris. The title includes, “for now,” because there is a chance that a higher court later down the road overturns this ruling, which is a completely fair ruling but given that more and more courts are based on which side they lean towards there is no telling what will happen five years down the road from this. Let’s set the stage for a moment – you are with your family at your home just enjoying a good time when suddenly one of your children starts dancing to a song that comes on the radio. You pull out your phone and start recording this cute little dance they are doing. You hear and see all the time other people posting videos of children singing or dancing along to their favorite songs so you figured why not post this up on YouTube to share with your family and friends and the rest of the world. You see nothing wrong with posting the video so you are quick to upload it right to YouTube and give it a cute title. It quickly garners views and you are getting great comments until one day your video is taken down and you are given a notice about what has happened. Now most people do not have the money to take on giants like YouTube or the people responsible for requesting that the video be taken down so this a unique case. The person, Stephanie Lenz, decided to do just that and sue Universal Music. This week the US court of Appeals of the Ninth Circuit found that copyright holders must consider fair use before requesting that their material be taken down from online services, like YouTube. The case is set to go to trial and will determine just to what extend this means. In the meantime, people who record videos out in public and there is copyright material in the video can rest assure that copyright holders need to consider the conditions of the video do not warrant or allow them to restrict that video from being shown. Copyright laws are not updated enough to contend with how the internet works today. The laws are still old and do not consider how information, regardless of whether it is protected or not, is handled online. Information wants to be free and copyright laws prevent that from happening. There is a new book out that talks more about what copyright is doing in today’s age and how that affects information and internet use called, “Information doesn’t want to be free.” The author, Cory Doctorow, explains that the openness of the internet has unleashed this creative powerhouse of individuals with their causes but that the laws of copyright hold back much of what they are doing. Someone who is trying to gain attention for their cause might create a little video at home with a powerful song included that is copyrighted and place it on YouTube only to have it taken down later on. What good does that do for society? The person’s cause and what they are trying to do? Nothing because the motive of profit is the reason these music labels are going around and causing problems. They do not consider their actions in the light of the big picture, only the fact that their “clients are not receiving their fair share of money,” which is a common response in these matters. If copyright laws were really enforced to the full extent of the law the internet would come to a grinding halt and people would revolt against these laws. The reason for that is that anytime you take work that is protected by law and share it with another friend or repost, like, reblog, revlog, favor, follow, etc you are basically breaking copyright in the truest sense. That is why Tumblr was dealing with so many lawsuits on copyright because people were reblogging things they liked onto their page, which was the whole point of Tumblr to begin with. This means that people with protected works were getting onto a website they didn’t understand how it worked and then getting mad that their work was being “stolen,” when in fact people were just reblogging which tells you that the only reason those people got on Tumblr in the first place was because they heard how popular the medium was and wanted to get in on the action hoping they could make some money. In translation – some old people were butting into a young person’s world and getting mad about how they were doing things and not following how things were done before. A good way to understand this is by looking at how you access information online. An adult company tried to sue Google on the case that when people did an image search and their photos showed up in the results, Google was breaking copyright law by using their photos in the results page. Google would go on to win the case by stating that the use of the photos was considered fair use and that they were protected. It is very easy to use the internet and not realize how many times you are breaking the law. It seems that photographers in general and artists tend to cause the most trouble when they see their photos used on other sites but it shouldn’t come as a surprise, it’s the internet and people want to share what they find and talk about it. The perfect quote to close all this out with comes from Jessica Litman who said, “Most of us can no longer spend even an hour without colliding with the copyright law.” The reason is that in the past copyright holders, before the internet, held total control over who purchased their stuff and could control it because it was all physical items to be bought, now the internet has changed all that. The case of Ms. Lenz means that people will be able to post videos online with copyright material in them and not worry about it getting taken down, as long as it is used in fair use. The judged ruled that all media companies need to take into account of the fair use before considering any kind of lawsuit or request. 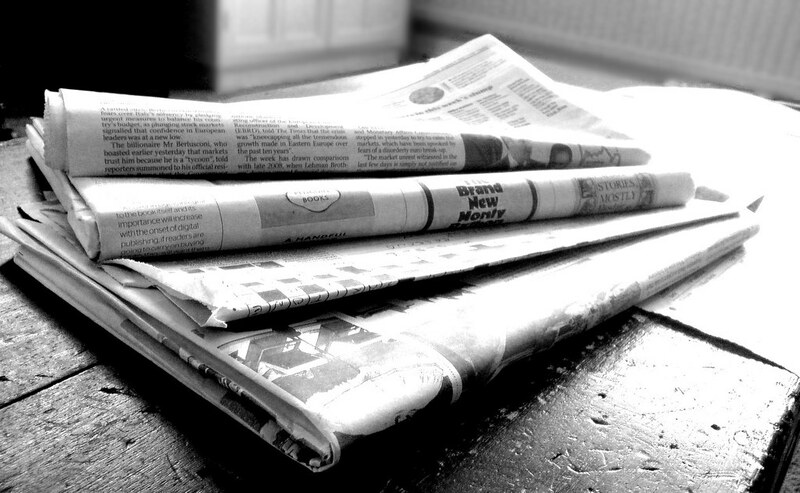 The media companies countered with an affirmative defense tactic but the judge found that not to be the case here. This ruling is an important one because it means that copyright holders can not longer go after people who use their material in a way that is not meant for profit motives, in majority of all cases it is simply just good wholesome entertainment. For those considering that the author of this blog is not considering the blood, sweat, and tears that goes into all the work someone creates, I am. I have been creating a lot of work on my own for years and would rather find that my work is being shared online with others and know that it is helping them achieve what they are pursing in life than putting up a paywall and only helping a handful. Which has a better impact on society? This entry was posted in Technology and tagged censorship of lawful speech, copyright cases, copyright laws online, copyright lawsuits, Cory Doctorow, creative commons, dancing baby lawsuit, fair use material, information doesn't want to be free, protecting fair use., Stephanie Lenz, use of copyright online on September 15, 2015 by Chris. Gone are the days when teachers had to fend for themselves to come up with their own lesson plans for the school year. The day-by-day management of classroom course work can create a lot of stress on teachers, especially first-year teachers. Now there are more options than ever with pulling from other teachers who have been doing this a long time. The amazing thing to learn about this new “sharing economy” is that there is a lot of content already available for anyone to pull from and use. If you remember the days of when you went to school you didn’t really think much about the work that was put in front of you except that you had to learn it and turn it in for a grade, which amounted to even more work for the teacher to do, even after they came up with the assignment. As kids you didn’t really think about where that work you did came from because you just wanted to get it over with so you could go back to talking with your friends. For elementary teachers this process is fairly easy because you have the same students all day long, except for those that rotate for other subjects throughout the day or even week. You can blend your lesson plans together and if one day the students fall behind you can still play catch up with all of them because you know your students so well. That is the nice thing about planning your lessons for younger kids because they were just interested in learning and doing their best and for even most of them getting stars on their charts or golden stickers on their assignments with 100’s made their day so they were happy regardless. In the middle school and high school range, the challenge with lesson planning gets very complicated because not all classes work at the same rate or level so coming up with new and interesting topics everyday or weeks can be very difficult, especially when you have kids that learn faster or slower than others. 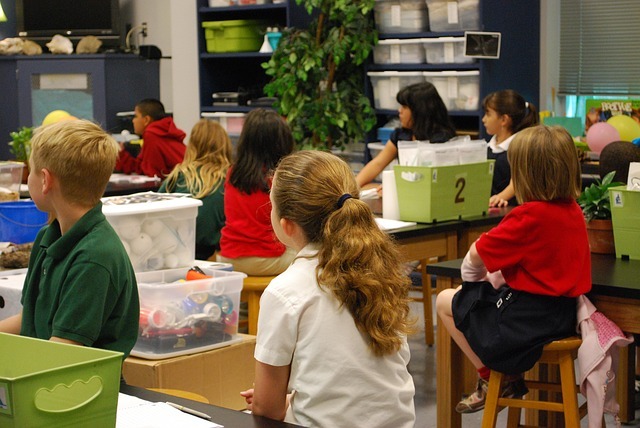 In order to reduce the amount of lesson planning that teachers are required to perform many of them break up their semesters into smaller chunks that revolve around certain topics, for example, biology teachers will focus on animal and plant cells for a week or two before moving on to the next level. This is why English teachers assign X number of books a semester because their lesson plans focus on just the content of each book for a few weeks. It should not come as a surprise that teachers have more options than ever in getting support for their classrooms. Infact, there are many new ways that teachers can now support and provide for students just by using crowdfunding sites to help assist the kind of work they want their students to learn with by getting the resources they need. This is very important to the future development of student’s educations because it can mean the difference between one student falling in love with science or another losing interest in math because the lesson plans created just didn’t make sense. The resource that I’m about to talk about stems from the whole sharing and gig economy model. Many people are learning to become their own entrepreneur using sharing apps to make extra money. It should not come as a surprise that many people who work part or full-time jobs also work for Uber or TaskRabbit in order to make extra money to pay the bills. Now teachers can make money doing what they are good at – Creating Lesson plans. Teachers Pay Teachers is a website that lets teachers browse countless lesson plans and resources that teachers have created and posted for others to buy and download. The great thing about this website is that not only are teachers rated on the content that they create and sell but also that each content item that is posted is also rated for quality assurance from other teachers. This helps people know beforehand whether or not it is worth buying. There is an app version available on the iPhone and Android market but there are many bugs that need to be worked out and you can not purchase anything on the app, just browse. Once those issues get fixed and people can purchase them with their paypal account then I believe this will be a very powerful app. The website though is still superior to the app because this is content you will want to review on a large screen, not a tiny phone screen. Many lesson plans offer previews so you know that what you are purchasing is worth the price. The prices range from free all the way up into the hundreds. In many cases the lesson plans that cost more than a $100 are for long periods of time or even workshops of a large magnitude. The most expensive listed items cost in the thousands and not surprising many of them have never been purchased or rated for that very reason. Teacher salaries do not have the flexibility to be able to afford such high cost plans so that is something to consider if you plan to use the service. The range that is most common tends to be from 10 to 40 dollars. The interesting thing about this website is that it was created with the idea in mind of teachers selling other teachers their lesson plans but now that the site has gotten more popular in recent months, textbook makers and publishing houses that specialize in educational material are now putting all their books and lesson plans and supplemental materials on the website. What makes the website great in the beginning is that it was teachers helping teachers teach better with materials that they perfected and have found that their kids enjoy. Now that large companies are coming in it takes away from the fun. In addition to all the custom lesson plans that teachers have created there are also a lot of Common Core items coming up that teachers have created that will help others improve their students scores. In many cases there are posters that highlight important things to know which can help students focus on learning the right material. There are also assessments that can be purchased to help make sure your students are on track to pass. This website has been a blessing for many teachers because it means another source of income for teachers. The challenge of course is being able to teach your classes and still put out new content for all your fellow teachers to purchase, especially your group of followers that some tend to create. It is interesting to learn that only 12 teachers have become millionaires using the site with 300 teachers earning in the 6 figure range. These are teachers who know what it means to create lesson plans that are easy to use and understand but also that students will enjoy and get the most out of them but also learning how to price your items correctly. Just like with any other website that is similar to this, infact the same thing can be done on Amazon or eBay, it all comes down to how well you market what it is you do. There are helpful tips and guidelines provided by the website that explain the importance of using social media to keep your followers updated on new content in your profile. In any case this website is a much needed service for anyone that is a teacher that wants to put their name out there but also build a new stream of income. It doesn’t matter if you teach in a public school or provide private lessons at home anyone who is a teacher in any capacity can use this website to share what it is they are good at. If you would like to sign up and start selling or just purchase items keep in mind there are three different types of accounts available, two of which are free. If you just want to download free items and purchase things there is a free individual account but if you want to sell items then you can also get one for free but you won’t get a dedicated homepage to your services which is what the third account offers. This entry was posted in Education, Technology and tagged adopt a classroom, classroom ideas, crowdfunding, crowdfunding for educators, crowdfunding for teachers, donors choose, gig economy, gig economy for teachers, improve student sucess, income options for teachers, lesson plan ideas, microentrepreneur, micropreneurs, resources for teachers, sell online, share lesson plans, sharing economy, teachers pay teachers, teachers sell lesson plans online, uber for teachers on September 9, 2015 by Chris. Google is now on track to compete with the likes of TaskRabbit, Angie’s List, Amazon Home Services, Thumbtack, and Pro.com but what makes them different right now is that they are only launching their professional services program in the San Fransisco area. What does this mean if your a handy-man living in midwest America? You better get your website up and running professionally, get licensed and bonded by the city and plenty of insurance because those are some of the requirements that Google is mandating in order to be part of their services option ever time someone searches for any kind of professional service. You will also have to undergo a background check that Google will require all businesses to have. Oh and you will need to have at least one personal photo of someone that works for the company, right next to your company logo. Google is only offering home services, meaning they will only connect you with plumbers, cleaners, electricians, locksmiths, and carpenters. So for all those home tutors and babysitters and home delivery services you will need to wait but Amazon already allows you to sign up so why wait for Google? It used to be the case that if you needed help with something at home or elsewhere you had to look up, compare reviews, and do your homework before calling someone. Now with the help of Google you will be able to do all that in one simple search like, “clogged toilet,” and Google will provide you with a list of professional plumbers you can compare and contact right away knowing that each one has already passed all of Google’s requirements to be listed. Many of the companies that will show up in the results page are long time users of Google’s app, “AdWords Express.” They pay to be ranked near the top so people can find them faster and with a tap of the screen either call them or sign up on their website. Anyone who offers a service but doesn’t have the means of building a website or physical company can now sign up on all the services in order to maximize their potential reach. The idea here is that people who hold very special skills can now put them online with Amazon or Thumbtack and find people interested in their services. The competition for providers is growing and with that a number of other companies that are looking to cash in on the action. Take for example TalkLocal, they are a company that connects people with service providers in their area. It is interesting to think that companies like this are around today since most people can just get online and find one on their own but TalkLocal creates a list of pre-approved companies that meet certain industry guidelines in order to make sure that all their customers get the professional service they deserve. Hence, no one wants to hire a con-man with a flashy website. Google plans to cut out companies like that because people won’t need to sign up for services which act as a middleman because now people will simply be connected to companies that already qualify. The landscape for professional services is growing by leaps and bounds but the two companies that will have the most force will be Google and Amazon so like I said before if you offer a service on your website, that is all fine and dandy but if you want any kind of sway in your local market you will need to be listed on these two giants if you want to gain more attention. Just be ready to handle the influx of more work coming your way. You will need to register your company with Amazon and include banking information so people can just pay through Amazon. All TaskRabbit employees must sign up and go through a background check in order to qualify for jobs. You must all use the app regularly in order to get jobs that match your skills. The company also favors jobs to employees who respond within a certain time frame. One of the more popular services that you pay for. Any company has to pay to be listed and the better the reviews the more work you get. The trade off is that the market will correct for companies that offer top quality service. They were posed to be Amazon of professional services until Amazon caught hold. You can perform simple searches for “math tutor,” “plumber,” and lots more and find people in the area who can bid or see pricing guides. Find professional home services to help fix up your home at affordable market rates. You will find people who are professional and licensed when searching on this website, from carpet installers to countertops and more. Another website that offers professional home services by finding independent contractors in your area who offer home services. This is a great way to find any kind of home service and connect with local companies. Add to another long list of websites that offer professional home services that conduct background checks of all service providers. I list Yelp here because you still need to do your homework on companies regardless of what website they are signed up with. You need to make sure that they are operating at the professional level they are supposed to be. The huge benefit to online services like this is that as a Freelancer you can list your services on each website and find people who want your services. Millions of searches are performed for home tutors, cleaners, car repairmen but there are also other areas that get searched but not enough to fill the gaps. If you are creative enough you will find people in need of your help. For example, the website, Your Man in India, is a perfect example of a company that offers professional services for individuals. Those services can range from paying your credit card bills to ordering take out and lots more. Why not offer to do those same services that they offer here it the US? A.J. Jacobs talked about how he was able to outsource his entire like in his book, My Life as an Experiment, and in many cases had the company he hired even read bed time stories to his kids and talk to his parents and wife when he didn’t want to. LegalZoom is another sort of company that piece meals legal services and makes it affordable by hiring out as needed. If you are a lawyer why not sign up for Amazon Home Services? I’m sure people would love to be able to find an affordable lawyer. Any one of these websites is an example of freelance work. Axiom and HourlyNerd both take top talented individuals in the legal and business field and connect them to work with companies on a per-project basis. The nice perk from working with such companies are the benefits but the hardship of working for such companies is the unstable employment. If you plan to go with these services you must be prepared for the ups and downs of the work itself. You will not be able to get ever job that comes up and you might always be underbidded by other competitors. That is the challenge of working in the freelance economy so if you plan to sign up with any one of these services you will need to have a backup plan for when work gets slow. If you are a professional and want to be listed one of the sites listed, just click on their sign up option and read up more about what the process is all about. 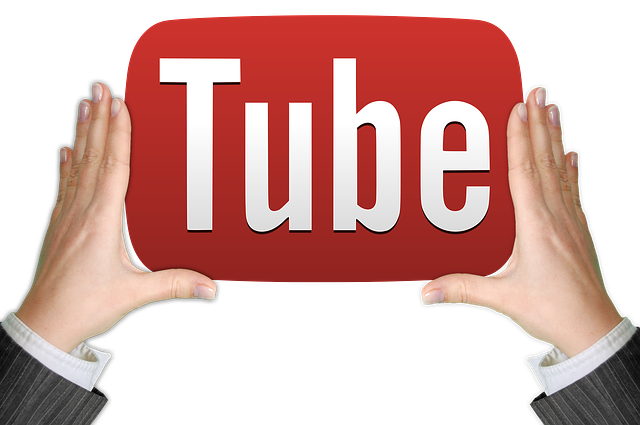 If still unsure search on YouTube to find out more about each website and get people’s reactions. If you want to get a head start in your area then sign up for Adwords Express and start getting listed in your area. This entry was posted in Business, Technology and tagged 13 year old creates google glass, adwords express, amazon home services, angie's list, cleaners, find local professionals, Fiverr, freelance economy, freelancer, gig economy, home service workers, local services, locksmiths, online advertising, online professional services, plumbers, pro.com, professional services, search to find home services, taskrabbit, thumbtack on September 1, 2015 by Chris.